﻿ What Are the Current Drug Trends Among Young People? What Are the Current Drug Trends Among Young People? Drug trends among teens and young adults today are “not your father’s Oldsmobile,” so to speak. The whole scene has changed. We continue to have problems with commonly-used mind-altering substances such as opiates, marijuana and hallucinogens. Today, however, we add to this list increasingly bizarre practices such as consuming embalming fluid, along with numerous synthetic drugs and organic drugs that are unstudied and often untraceable. Here is an overview of the major drug trends we are seeing nationwide. Today, Kratom has become a hotly-debated drug, often touted as an organic pain-reliever and recently classified as an opioid by the Food and Drug Administration. Despite its widespread use and ease of online ordering, little clinical research has been conducted on this drug. This makes it a risky substance, especially as it becomes increasingly popular with teen and young adults. Though officially made illegal in Alabama, Arkansas, Indiana, Tennessee, Vermont, and Wisconsin in 2016, Kratom is still legal in many states. Its effects can be severe with more severe side effects including respiratory depression and psychosis. It is also highly addictive. These drugs have become increasingly popular with younger people, and the effects of these drugs can be deadly. Synthetic drugs include synthetic cannabinoids such as Spice and K2. These drugs are manufactured chemicals that are often sprayed on dried plant material. This allows them to be smoked in a method similar to marijuana. Synthetic cannabinoids are also sold as liquids which can be vaporized in e-cigarettes. Often, these products are labeled as incense and do not come up on standard drug tests, thereby making them dubious to many parents. Common street names include Spice, K2, Genie, Red Magic and Fake Weed. Synthetic cathinones, commonly referred to as “bath salts,” are similar in that they are manufactured substances and are often labeled as “not for human consumption” despite their widespread use as a drug. These mind-altering substances are unregulated stimulants often used as a substitute for cocaine or amphetamines. They can be swallowed, snorted, smoked, or injected and remain popular among teens young adults. Common names include Flakka, Ivory Wave, Stardust, Cloud Nine, Meow Meow, Vanilla Sky, and White Knight or White Lightning. Since synthetic drugs are largely unregulated and can be highly dangerous and unpredictable, it is imperative that parents familiarize themselves with these substances, which are often mistaken for benign incenses and can be purchased at many local gas stations and paraphernalia shops. In recent years, we have seen a resurgence of hallucinogens among young people. These include more commonly known substances such as lysergic acid diethylamide (LSD). LSD is often taken as a tablet or “blotter.” Its effects may be intense and include both visual and auditory hallucinations, altered perceptions, delusions and time distortions. Psilocybin, also known as “Magic Mushrooms,” is a naturally-produced psychedelic compound found in species of mushrooms. Dried or fresh mushrooms are often ingested, prepared as a tea or consumed with other foods. Other substances include marijuana cigarettes. 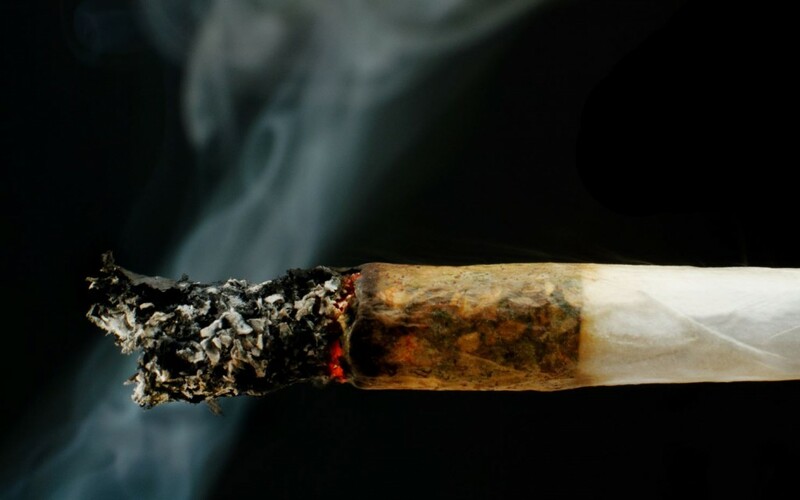 These cigarettes are dipped in solutions to enhance the hallucinogenic effects of THC. Embalming fluid is a commonly used substance. As one might imagine, this solution can produce disastrous effects, such as decreased lung function and an increased risk of cancer. Opioids continue to be popular among all age groups, including young adults. Young adults consume more prescription medications recreationally than any other age group, sometimes in combination with alcohol, placing them at increased risk for respiratory failure. They are also at high risk for addiction and dependence. Often, physicians find these drugs were illegally and unknowingly obtained from a family member or friend. These addictive substances can lead to heroin and fentanyl use. Opioid use can cause permanent neuropathy among people who overdose or become unconscious from opioids. In a residential treatment setting, it is unfortunately common to see at least one or two patients at any given time with a permanent disability as a result of an overdose. Today, the internet continues to be a primary source of information about drugs from many young people, with entire sites devoted to explaining drug use. Additionally, young people often report obtaining drugs from site on the “Dark Web,” a part of the internet that requires special software or authorization to access and is not found on regular search engines, making them largely untraceable. These drugs are sent via mail, sometimes to a P.O. Box where they can be received without a parent’s knowledge. Cryptocurrencies like Bitcoin may also be a source of payment, creating a largely anonymous purchase experience. Pay attention to unexplained changes in your child’s behavior including school/work performance, general mood, sleeping patterns, etc. These changes may be signs of substance use. Pay attention to what is happening on computers in your home. Check browsing history regularly and do not ignore unexplained software on your computer. Check for deleted browsing histories and ask questions. If you discover your child is experimenting with drugs, consider consulting a professional as opposed to trying to figure out the problem yourself. The most significant thing a parent can do to help kids is to spend time with them. This is just as true with adolescents and young adults as it is for young children. Communicate with your children and be clear about expectations. These are a parent’s best tools for guiding kids to make healthier choices.